Follow up service is key to any successful business. Customer satisfaction is priority one at Fred's Carpet. Any customer concerns are handled swiftly and courteously. Fred's Carpet is committed to offering competitive prices, while maintaining our high standards of service and installation. 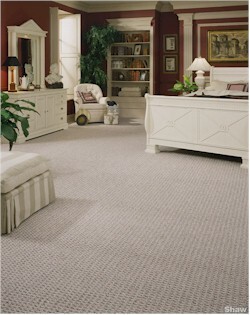 Fred's Carpet offers the finest brands and products available. Our selection is truly amazing considering our showroom space. As our founder Fred always said, "We're the little store that gives you more!" Fred's Carpet is committed to going green. Many of our products are hypo-allergenic, and all of our adhesives are environmentally safe. Fred's Carpet offers a two year warranty on all installations unless noted otherwise. We adhere to all manufacturer's warranties, and will persue resolution on our customer's behalf when any manufacturing concerns arise.